You probably already know the incredible results social media can drive for your business by now. With the help of social media, you can skyrocket your sales and increase your number of customers, but the truth is that social media can do so much more than drive sales. The catch, however, is that not every brand realizes this. They see every marketing source, including social media, the way they see traditional advertising. Focus on shoving as many ads as possible down your customers’ throats, and eventually, they’ll buy from you. But the world of marketing is changing, and social media is different from your traditional ways of marketing. Instead of using social media to nag on your customers to buy from you, and get them to do so once, it is far more valuable to build genuine and long-lasting relationships that boost your customer retention and makes people loyal supporters of your brand. The good news is that social media is the ultimate tool for doing just that, and if you aren’t yet using social media to build customer relationships, you’re missing out. Big time. If you look at some of the top brands, you’ll notice a pattern. They all have loyal supporters that stick with them no matter what. They know how to build strong relationships with their customers. By starting to build trust with your audience today, you’ll be able to better manage through crises and hard times, but you’ll also get more loyal customers as a result, which means that people won’t abandon you just because your competitors are one dollar cheaper than you. Therefore, it is crucial that you start working on building your customer relationships today and start earning their trust and loyalty. In this article, I am digging deep into how you can do just that. The key to any good relationship is interactions between humans. Social media at its core is social. It’s about real relationships with real people. It is a lot harder to build relationships with a fancy logo and brand name than it is with humans, right? People don’t want to interact with large corporates who are soul- and emotionless because if you think about it, it’s impossible for your audience to build a relationship with you if that is the case. Imagine if you would only talk to your best friend about shallow things like the weather and what different celebrities are doing. A good relationship is only built by going deeper than that. The great thing about social media is that it allows for a direct contact with your audience which opens up for the opportunity to build strong relationships, however, the prerequisite for being able to do so is being human. I have heard the argument that ”we want to keep it professional so therefore, we cannot be human” a million times before, but that argument is invalid. The thing is, people are human, and no matter if they are bankers or teenagers, they want to have real relationships with real humans. We’ve all read boring releases or news from companies where they go rambling on about something that makes it seem like their brand is just a robot. And when that happens, it distances you from your audience. No matter which industry you’re in, not being human will be a costly mistake. Personality is crucial to great relationships, and social media allows you to convey one! Your personality is made up of many things, but before you begin interacting with your audience and adding a touch of personality, you need to clearly define what personality you are going to have because obviously, you want to have a personality that resonates with your audience. If you are using a bunch of abbreviation and online slang online, and your target audience consists of people who are 60 years old and up, you run a great risk of alienating your audience, leaving them wondering what the hell you are talking about. And the result will be that your customers will think that your brand just isn’t for them – and they’ll go somewhere else. It’s like ending up at a club for old people when you’re going to the hottest club in town. You’ll just feel awkward and like you don’t belong there. First, you need to decide on your brand voice. What voice are you going to have when talking to your audience? Because when you use the same voice as your target audience, they’ll see you as one of them, and they’ll have an easier time resonating with you. The tone you use when you’re writing with your audience, but also when sharing posts and making announcements should also represent your brand and the way you want to be seen by your audience. For example, you can use a tone that resonates with your target audience, but then you can also add a touch of humor to it that will help you build the brand personality you want to have. In other words, you can use a tone that resonates with your audience but still establish a personality that helps people see your brand the way you want them to see it. And at its core, that is your brand personality. What’s important is that you have a distinct personality which your audience can know you from. Having one will allow you to stand out from the crowd and be more unique, and as a result, allow people to find you easier. Due to the importance of having a personality, social media chatbots are a bit tricky. I know that many of you are thinking ”what the hell, is he going to crack down on chatbots?” but it’s not really like that. I am all for chatbots on social media, but I think it is essential that you use them in the right way and at the right times. I mentioned earlier that people can’t build relationships with robots, and a chatbot is, essentially a robot. It can’t show personality, humor, feelings, nor emotions. Therefore, you should only use chatbots when your customers want quick information. 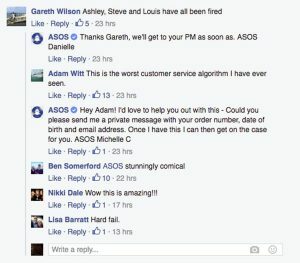 Let’s say a customer asks when you open, then using a chatbot to give the simple answer is absolutely okay. But it is when you have deeper and more intimate conversations that you should opt for the human touch instead. Do you think that it helped them build any relationships with their customers? The messages were two great opportunities for the brand to show their personality and joke a bit with their audience, but instead, it just ends up so completely wrong. Now that you’ve developed your brand personality and become more human, it is time to be more personal. Being personal is similar to showing your personality, however, the main difference is that it is with your personality that you are personal. Let me elaborate on that. A simple way is to end every message you send to your customer with your name. When the persona you’re talking to knows your name, it will be easier for them to talk with you because they know that they are talking to a real person just like themselves. But don’t play it though. 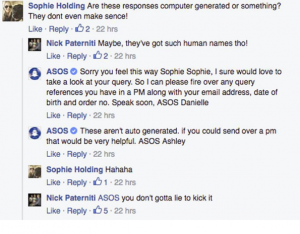 As you saw in ASOS’ automated answers, the messages were signed off with names, even though they were written by a chatbot. And if people can see through that they aren’t really talking to a real human, you risk losing their trust. The best part about doing this is that it helps your customer to start associating your business with a real human being. If you provide them superior customer service, they might even ask to speak to the person who they talked to earlier. People do business with brands they trust and respect, and by being personal when interacting with your audience, you make it easier for your customers to start doing that. Another way to be personal is to showcase your team and what is happening behind the scenes. Doing this will allow you to make your brand more personal, but also more human. 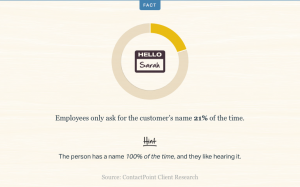 What’s more, you always want to address your customers by name as much as you can. People have a name and they want you to use it. When doing so, you also make the interaction more of a one on one conversation between you and them, rather than a conversation between a company and a customer. Lastly, and this is the most important part of being personal in your customer interactions according to me, is that you become more personal in your interactions with your customers. It might sound so obvious that it is ridiculous, but the truth is that very brands take the time to do this. The foundation for providing excellent customer service is understanding your customer better, and better understanding where they are coming from and who they are. The more you know about your audience, the better customer service you are able to provide. Therefore, you need to start doing more research about your audience, unless you’re doing it already. The best part? Social media is an incredible place for doing just that. People are sharing their whole lives on social media! As a result, there is endless of information that’s already out there. You just need to take advantage of it. When you start incorporating personal facts about your customer into the conversation, their trust in you, and your relationship with them will skyrocket. There’s a great example of this from Gary Vaynerchuk. When Vaynerchuk ran a wine business, he did a little research about a customer who had made an order. He looked at the customer’s social media account and found out that he was a huge baseball fan, and included a signed Jersey from the player that the customer looked up to. Weeks passed by without hearing anything, but one day, Vaynerchuk received a message from a customer. ”PS, I am a huge fan of (insert baseball’s player’s name here)”. This just proves the incredible power of being personal and taking advantage of information that you can learn about your customers. And while Vaynerchuk’s story took place through email, you can still apply the strategy to when you’re interacting with your audience on social media. Plus, the information he extracted was taken from social media. Of course, doing this takes a bit of time, but because the information is so easily accessible on social media, plus the fact that very few of your competitors are using this strategy, it is a golden opportunity for you to steal customers and keep them glued to your brand. 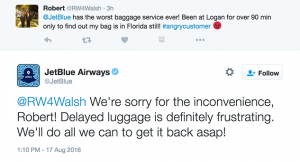 Responding quickly is super important in customer service, and essentially, when you interact with your audience, even if you’re just having a regular conversation, it’s still a form of customer service. If people have to wait too long for you to answer, there’s a great risk that they’ll eventually lose patience and go somewhere else. This often means your competitors. 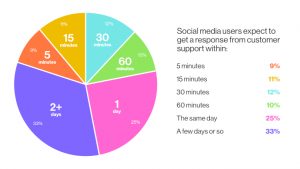 Social media is always on – 24/7, 365 days a week, and it is also moving at a great pace. This means that you always need to be on and ready to engage. 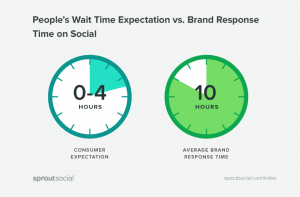 A study by SproutSocial found that customers expect a response from brands on social in under four hours, however, most companies average a 10 hour response time. Every message people send to you on social media is an incredible opportunity for you to build your relationship and increase their trust in you, but if you don’t have the resources for responding to your audience in a timely manner, you’ll be missing out on a lot of great opportunities. If you want to to take your customer relationships to new levels, you need to exceed all expectations and go above and beyond with every little interaction you have. Doing this will help you stand out from the rest that is providing average customer service, but also make sure you are never forgotten. If you go above and beyond with your customer service, one small interaction can convert a customer to a loyal supporter for life. People love to feel valued and acknowledged, and if they are giving and giving by showing support for your brand, but not receive anything in return, eventually they’ll get tired and go somewhere else. Your most loyal customers work as brand advocates for you without asking for much in return, but unless you’re showing that you appreciate and value them, you risk losing them forever. Loyal supporters are great to have for many reasons and the last thing you want is to lose them! First off, they are talking to their friends and peers about how awesome your brand is. And considering the fact that 92% of people trust peer recommendations, this is tremendously valuable recommendations. If you are going to value your loyal customers, make sure that you are actually valuing them. Second, your most loyal supporters are probably exiting customers of yours and will continue to be so for a long time (unless you’re not rewarding them, showing your appreciation, and making them feel acknowledged). 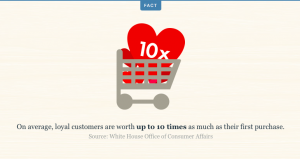 You should remember that It costs 16x more to bring a new customer up to the same level as a current one. What’s more, The average repeat customer spends 67 percent more in months 31-36 of their relationship with a business than they do in months 0-6, plus, Repeat customers spend 33 percent more than new customers. It’s safe to say that loyal and repeat customers crucial for businesses. The good news is that building your relationships with your audience helps you increase your audience. But for the most loyal customers, you need to do something more than just chat with them every now and them. Because after all, they’re doing a lot more than that for you. Even though interacting with them is a great way to acknowledge your audience, sometimes you need something more to really show your appreciation for their support and to make sure they won’t leave you. Because you simply cannot afford to risk that. To show your most loyal brand supporters that you appreciate them, you don’t need to give them a trip to the Bahamas or a million dollars in cash. After all, it is the thought that counts. It’s more about the gesture. Always, always, always provide your audience with value. This does not just go for social media but for all aspects of business and marketing. I’ve spoken about the importance of providing value many times before, but that is because it is such a crucial building block for success in business. Many marketers and businesses are so attached to the idea of just asking without giving anything in return. Buy this, buy that. And the truth is that it isn’t a long-term strategy. Sure, you can take advantage of someone once, and you might be able to do it twice. However, when people start realizing that you’re using them and that they aren’t getting anything in return – that it’s only a win/lose relationship, they’ll run as quickly they can away from you. In other words, it’s not a strategy that helps you build the relationships with your audience, nor is it a successful strategy to increase people’s trust in you. The master of the ”provide value” philosophy is Gary Vaynerchuk, that I talked about earlier. In fact, he thinks the principle of providing value is so important that he wrote a book about it, called ”Jab, Jab, Jab, Right Hook”, which is loosely translated to ”Give, give, give, and then ask”. The problem many brands have today, as mentioned earlier, is that they see social media as yet another way to spread their ads. This is a big no-no for success. The competition for getting seen on social media, and to get your audience’s attention is incredibly tough, and unless you have something of value to bring to the table, they have no reason to follow you and stay updated with what you are sharing. In the book Jab, jab, jab, right hook, Vaynerchuk writes about how important it is to provide your audience with value. Because when you do, without asking for anything in return, you’ll attract eyeballs and your audience’s attention simply as a result of putting out really great content. What’s more, when you provide value to your customers time and time over, eventually people will feel obligated to buy something from you. And part of the reason is that when you provide value without asking for anything, it’s essentially a give-give relationship between you and your audience, and for people to show their gratitude. Another reason that they’ll buy from you is that you have provided them with value for a long time, so when you are offering something to sell to them, they’ll trust you that it’s good! 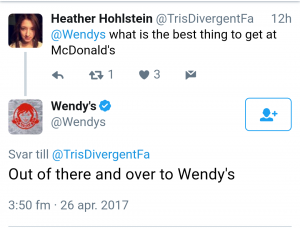 And that, my friend, is how you drive sales on social media, that surprisingly, most marketers haven’t wrapped their head around. And that’s good news for you because that means the competition is low – for now until everyone realizes that providing value is the game. My favorite part of the providing value principle is that it allows for incredible opportunities to engage and build relationships with your audience. The more people you’ll attract with your content, the more opportunities you’ll have to engage with them. Communities are tremendously valuable for businesses, and the good news is that social media is one of the best places to create one on. Having a community on social media means having a bunch of people who are enthusiastic and passionate about your brand talk about it and topics related to the industry you’re in. A social community is often the main reason that businesses are joining social media in the first place, because they know their target audience is there, and they know that they’re talking about their brand. Communities are mainly about brand advocates and giving a place for them to chat with other advocates and supporters of your brand, to share ideas and discuss different topics. In other words, a social community is built around a common interest, and for you, that means the industry you’re in, and your business. 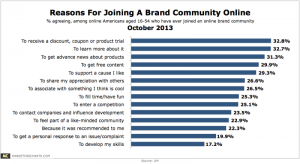 This means that building a community is not about forcing your audience to join it. It’s about sparking an interest, giving a place where your customers can interact and chat, and then taking an active part in the discussions that are taking place. For you with the goal of building relationships, a social community is, as you can imagine, an extraordinary opportunity. On social people have full control of what they do and who they follow, which means that getting through to them with ads isn’t an effective strategy. Remember what I said about providing value right above? Well, that’s why it isn’t a great idea. Therefore, creating a community is the perfect way to build a direct connection directly with your audience which allows you to engage with them. Since your community consists of people who are engaged in your business and industry, it gives you a way to show that you value them, but also keep them engaged by interacting with them. This means that you don’t necessarily have to give your most loyal supporters gifts in order for them to continue to be engaged in your brand however, you simply just have to do something and not just ignore them. The best way to improve is by listening to feedback, and whether you know it or not, chances are, your audience is already leaving a lot of feedback, thoughts, and ideas about your brand on social media. The thing is: in order to hear, you must listen. Brands invest tons of resources in surveying their customers to learn more about how they can improve and what people think about them, but why waste unnecessary resources on that when the answers are right in front of you?! If you just take the time to actually listen what people are saying about your brand, you’ll be amazed at how much information you can get. If you want to build better relationships, you have to learn to listen to feedback. This goes for both positive and negative. What’s more, you need to learn how to take action based off of what you learn, if necessary. Think of your customer relationships like any relationship. In order for it to work, you need to listen to both positive and negative criticism, and you must do something about it if needed. For example, if your partner is complaining about something that you are doing but you are completely ignoring that, chances are, your partner will be mad at you, and if the problem is big enough, they might even leave you. However, if you show that you have listened to what they said and then do something about it, they are far more likely to stay. The exact same principle goes for your customers. The biggest mistake you can make is to go into defense mode when someone is writing something negative about your business. If one person writes negative feedback, you can take that into consideration and think about if what they said actually holds any truth. However, if you start noticing that several people say the same thing, that’s when you need to do something about it. When you listen to the negative feedback that your customers are leaving, you can identify key pain points people have with your business, and then when addressing those problems, turn their negative experience around and make them loyal supporters of your brand. And when they are, rather than disgruntled customers, you can continue interacting with them, because they haven’t left your business for good due to bad service! You should not forget that when you’ve valuing feedback, you’re acknowledging your customers and show them that you care about their opinions, and this is yet another important part of building strong relationships. Humans have a need for feeling valued and appreciated. If they can’t get that, they’ll go looking for a place where they can get it. In other words, if you’re not showing that you appreciate your audience, there’s a risk they’ll go to your competitors. Now, you’re probably wondering how you should show appreciation to your audience, but the trough is that it doesn’t have to be that complicated! I mentioned that you can give gifts to your most loyal followers, but often times, a thank you is all that is needed. If you want your declaration of appreciation to be a little more impactful and genuine, you can write something that shows you’ve put some effort into thanking them. After all, your audience has put time into supporting you, so why can’t you put a tiny effort into showing that you appreciate their support? Note that all of these messages use the principles that I’ve gone through in this article, for example addressing the person by name, being personal, signing off with your own name etc. Surprising people is a fun way to stand out and get the more engaged – as long as it is a positive surprise, of course. This is similar to the point where I spoke about how you should provide over the top customer service, but still different. Of course, you should always provide “over the top customer service on social media, but surprising people is a little bit more about what you do when giving more than what’s expected. When planning on what you can do to surprise your audience and present yourself as a little more playful, you need to think about the things that your audience expects from you, and then do the opposite. Something that people hate about brands is when they make a mistake that is so incredibly obvious to everyone, yet still, they won’t admit that they’ve done wrong. The best way is to just admit that you’ve committed a mistake, apologize for it, and then move on. The people in your business are human just like your customers, so don’t pretend like the reality is any different. Humans make mistakes and it’s nothing wrong with that, especially if you admit it and ask for an apology. If you, however, try to pretend like nothing has happened, you risk harming people’s trust in you, but you also risk harming your brand’s identity. As mentioned earlier, listening to what people are saying about your brand is crucial for a lot of different reasons, and if you aren’t listening to the conversations that are taking place around your business (there probably are a lot), then you’re missing out on some incredibly valuable opportunities. The process of listening to what people are saying about your brand is called social listening so that’s what I’ll refer to it as from now on. First off, taking the time to listen to your audience allows you to identify and critical situations and disgruntled customers. Obviously, it is greatly important that you address these problems quickly as possible because 91% of unhappy customers will not willingly do business with you again. In contrast, if you succeed to resolve a complaint in the customer’s favor and they will do business with you again 70% of the time. Second, social listening gives you an opportunity for you to identify potential discussions and conversations that you can jump into and take part in. Remember that the more you engage with your audience, the better relationships you’ll have! Plus, taking part in the conversations that are taking place shows your community that you care about it and the people in it, but it also allows you to steer the conversation in the direction you want it. 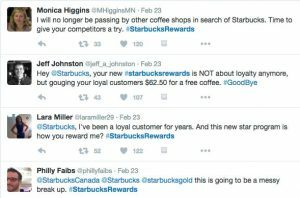 Lastly, by using social listening, you’ll be able to identify loyal advocates of your brand and use them as part of your marketing. You can use them to create case studies but also reward them as I spoke about earlier. Lastly, with the brand advocates you find, the people who are the most engaged in your business, you can recruit into your social media community in case they aren’t a part of it yet. 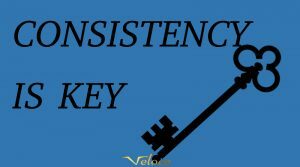 You’ve probably heard the saying consistency is key a million times by now. But want to know why? Especially when it comes to building relationships. The thing is: you aren’t able to build a strong relationship with someone after one interaction. Think about how many interactions that were needed to build the relationship that you have with your best friend. It wasn’t two, it wasn’t ten, and it was probably not even hundred. In order for people to trust you, you need to have consistent interactions with them on a regular basis, and this is particularly important in the beginning because otherwise, there’s a risk that they’ll forget about you. Trust takes time to build, and it isn’t something that you’ll gain overnight. Therefore, you need to create a plan on how you’re going to manage the interactions with your audience so you’ll keep them updated, and so they always have your brand on top of mind. Social media is called social for a reason. You’re meant to be social! It amazes me about how many brands that don’t realize that social media should be social and therefore only make it about them. Social media is one of the best tools that you have at your disposal when it comes to identifying, finding, and engaging with your audience, so use it for that! When you’ve answered that question, everything you do on social media will help you get closer to your goal of establishing better relationships with your audience. If you’re going to use social media to build relationships, you cannot make it about you nor your products. Remember that the key to social media success is bringing value, and if you’re only standing there and preaching about your products, people will go somewhere else. I know that you, as a brand want to promote your brand and products as much as possible, but the approach should look a little different on social. It should be about providing value to your audience and contributing to the community, as I’ve spoken a lot about in this article. And being social is an important part of providing value on social media because you’re actually contributing to the community without asking for anything in return. ”People stop following brands that are using all the time, or at worst if they don’t unfollow them, they tune them out. We’re in a very noisy world _______. If you don’t figure out how to bring value to your end user, you’ll lose. The conversation about brands and the brand’s products might come up in the discussion, but you shouldn’t push and force your audience to talk about your brand in a conversation on social”. The way to get your audience aware of your brand and products or services is to first bring value in social conversations, and establish your brand as an authority in your industry by bringing valuable and relevant insights and information into the conversation, and then the conversation will head in the direction you want automatically. Building and improving your customer relationships is crucial for customer retention. When you build strong relationships with them, you’ll increase their trust in you, and they’ll become more loyal to your brand. Social media is a tremendous tool for building your relationships because that’s where your audience spends their time, and where they are most happy to interact with brands. Therefore, develop a plan on how you’re going to interact with your customers and then start executing!